There is a new foundation in town !!! I cashed in some of my ipsy points to get this product. Welcome to the NEW Hourglass Vanish Seamless Finish Foundation. 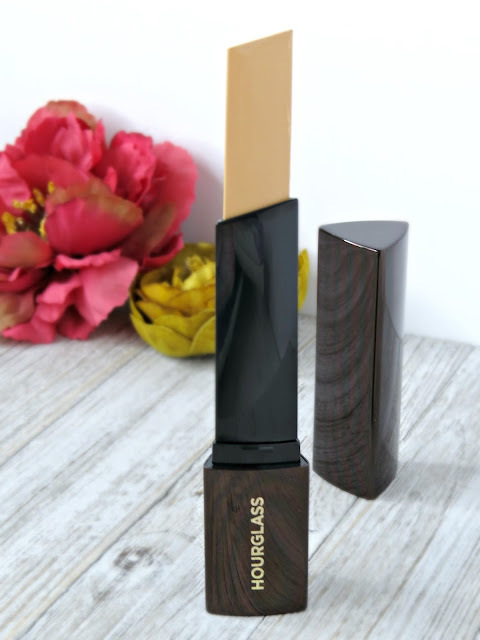 This NEW triangular foundation stick by HOURGLASS claims to be a concealer and foundation all in one. It's innovative formula adjusts to your body temperature to effortlessly blend into the skin. Comes in 26 shades and is said to provide waterproof 12 hour long wearing coverage. Hourglass Vanish Seamless Finish Foundation is being sold at Sephora online and in store. Retailing for $46. 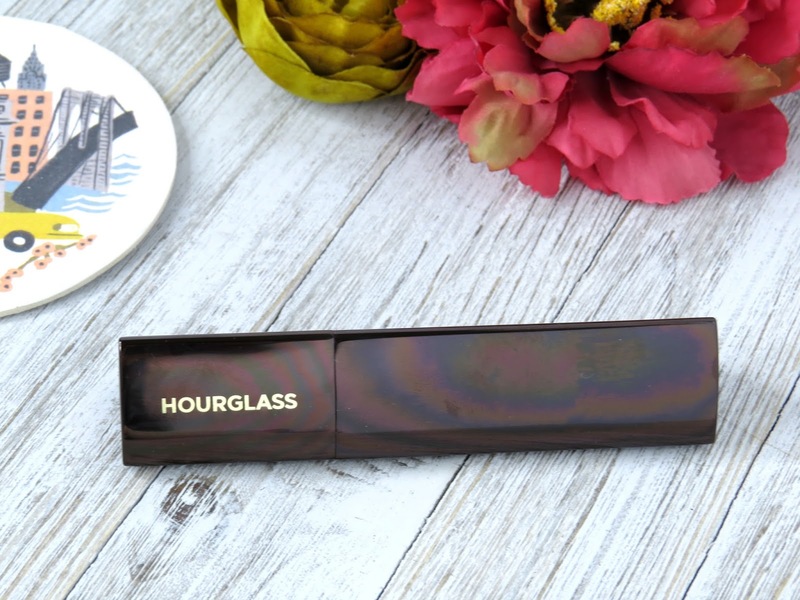 There is a brush that goes along with this foundation, Hourglass Vanish Foundation Brush, $46. I do not personally own this. I have been using the Real Techniques Expert Face Brush. 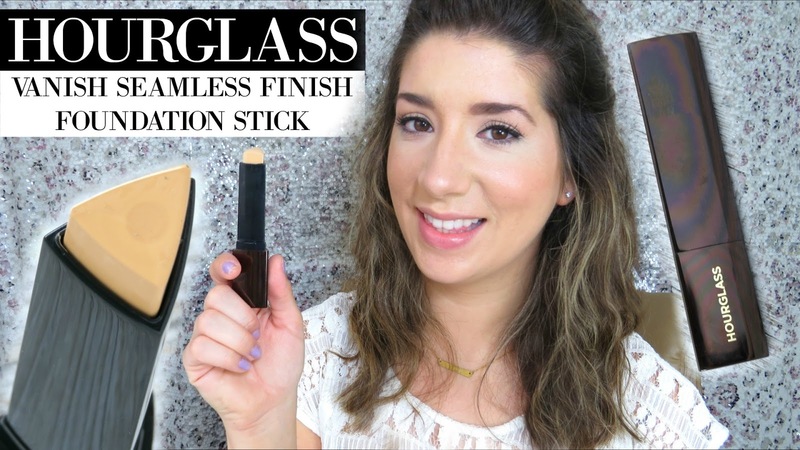 I have also tried applying this with a Beauty Blender, see video. The sleek bronze brown packaging is gorgeous. The product feels luxurious and has a good weight to it. Although it is aesthetically pleasing. I haven't found the triangular shape to make any difference in application than other stick foundations I have tried. If anything, the edges become rounded after being used a few times. The formula is not greasy at all ! It has a more cream to powder feel to it. Which does blend across the skin very smoothly. That is, if your skin is already smooth. 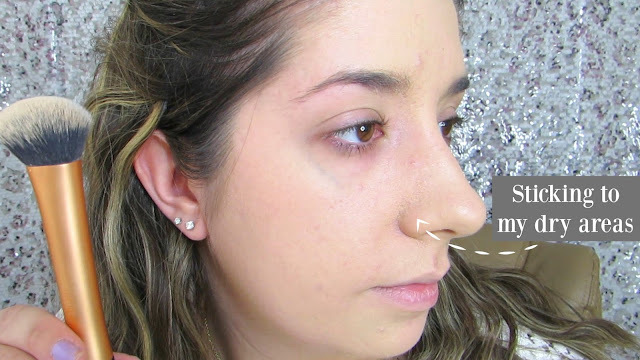 I have very acne prone skin oily skin with dry areas around my nose. This foundation stuck to the dry areas. Creating spots of very heavy, choppy coverage. I have to go over my dry areas with a damp beauty blender to smooth it over a bit. I also have to use a separate concealer to finish covering my spots. If your skin is anything like mine than I say skip. 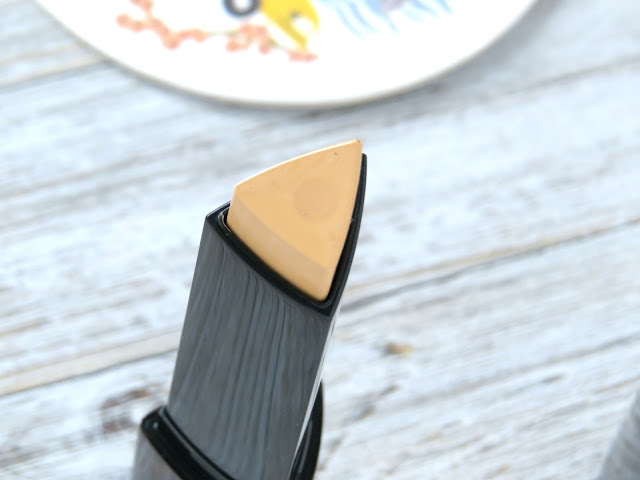 One coat of foundation applied with the Real Techniques brush. 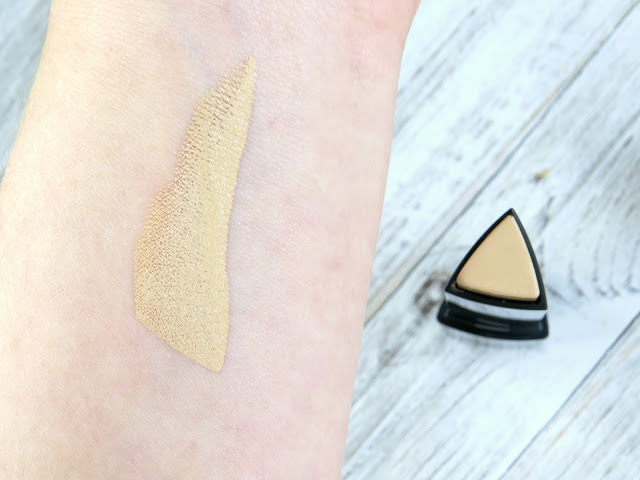 Overall, I do not think this foundation is awful. I honestly just think it isn't the right match for my skin type. Those of you who need something to even out skin tone, have only mild spots and no dry skin patches, this would work well for you. THAT being said I will continue to use this foundation ( because I have it and can't really return it) and play around with it a bit more. If anything it has inspired me to be strict with my exfoliating and moisturizing regime. This one is my first Hourglass product and feel a bit awful that it didn't work out 100% for me. I am open to trying other products from them though.